The Global Water Institute (GWI) is working to improve agricultural production for subsistence farmers in the Singida region of central Tanzania, a semi-arid landscape where rainfed agriculture is a consistent struggle.. GWI has partnered with BM Farm Africa to provide agricultural education and training to two of our pilot project villages, Mughanga and Ghalunyangu. This partnership builds on GWI’s Sustainable Village Water Systems Program to help small farmers secure reliable access to water which, combined with improved farming techniques, helps provide larger harvests and more nutritious crops. GWI and BM Farm Africa met with farmers in the pilot villages to talk about goals and challenges. Twelve farmers’ groups with a total of 188 people were created in Mughanga. 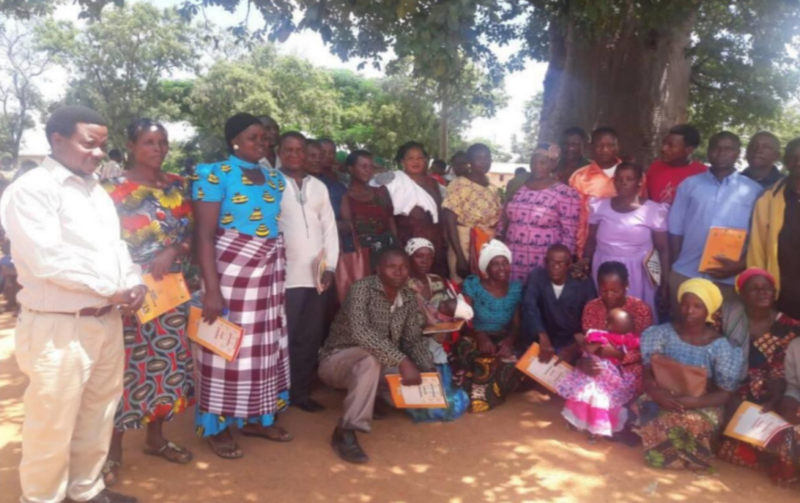 One group consisted of primary school teachers who want to teach their students better farm practices, so they can take this knowledge home to their parents. In Ghalunyangu, ten farmers’ groups were formed with a total of 109 people, with one group hosted by Ghalunyangu Primary School, like the teacher group in Mughanga. In both villages, the farmers talked about their biggest challenges facing them in agriculture. Water access was the biggest challenge – since the rainy season is short, the rivers dry up fast and make irrigation difficult and expensive. They also said they want better education on new technologies and access to tools and equipment like water pumps. Another important challenge was a lack of access to loans. It is hard for small farmers in Tanzania to get loans for small amounts of money because there are very few microfinance institutions. Finally, the farmers wanted to learn more about the market for the crops they are growing, and how to get the best profits. The farmers worked with GWI and BM Farm Africa to find the best possible solutions to these challenges. Farmers’ groups in both villages have been linked with retailers and microfinance institutions. BM Farm Africa has worked closely with a field technician in a nearby village and has made connections with the District Agriculture Officer. Research has been conducted on the markets nearby, and how village residents can access these and other markets further afield. In classroom discussions, GWI and BM Farm Africa have worked with the farmers to develop new marketing strategies and determine the best times of the year to grow and sell certain crops. 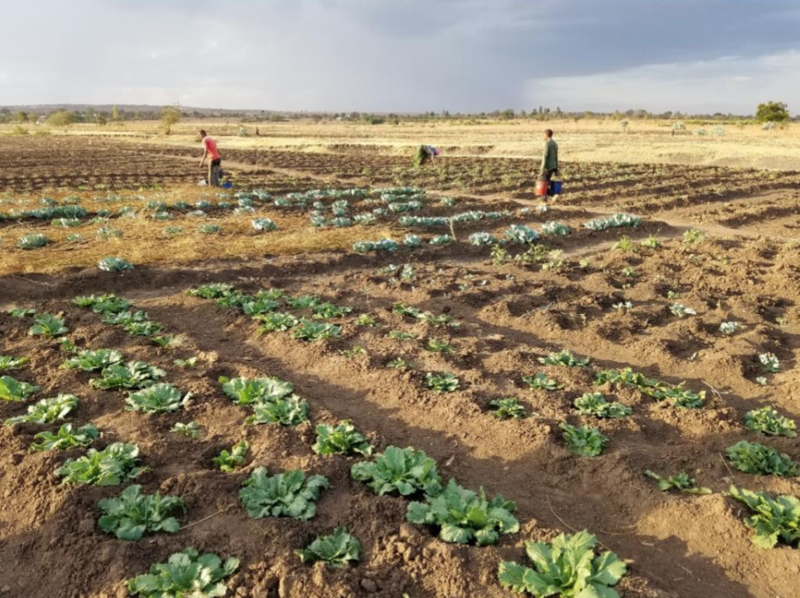 Demonstration plots have been set up in each village for hands-on practice with applying fertilizer, crop spacing, reducing water loss, disease identification, pest management, and storing grains. With GWI’s Sustainable Village Water Systems in place, farmers can put their new skills to use with more reliable access to water for irrigation. For the first time, they can get two harvests in a season and crops during the dry season. They can sell more crops on the market and bring in more revenue while cultivating a wider variety of vegetables to eat at home. The benefit of having farmers’ groups means that best practices can be easily transferred from one farmer to another for success throughout the entire village. GWI is committed to solving the most pressing issues for villages in rural parts of Africa. We believe water access is at the core of most of these issues. By providing reliable water access, and by partnering with other organizations for education and financial services, rural villages are able to improve their livelihoods and sustain a bright future. Farmers carry buckets to water crops on a demonstration plot in Mughanga. Image credit: Scott Shearer.